In the opening title sequence of the new Halloween, the iconic glowing orange font of the 1978 John Carpenter film flashes on a black screen as a smashed pumpkin slowly inflates back to life. That’s a pretty apt metaphor for writer-director David Gordon Green’s Halloween, a direct sequel to the first film that breathes life back into the franchise. However, it’s not exactly new life; instead of an inventive take on the material, Green’s film is a pure act of fan service — though one that’s full of clever callbacks to and remixes of the classic slasher movie for one final showdown between Michael Myers and Laurie Strode. Instead of attempting to continue the long and often ridiculous Michael Myers mythology, which spanned over nine sequels and reboots, Green and his co-writers Danny McBride and Jeff Fradley wipe the slate clean. This version pretends those follow-ups never even existed — though it does reference the brother-sister plot twist of the 1981 sequel as an urban legend — to tell a story full of gruesome kills and winking humor that picks up 40 years after the events of the first. The film opens on the afternoon of October 30th to find Michael (played by the original man behind The Shape, Nick Castle) and Laurie (Jamie Lee Curtis) both living inside cages. He’s been locked up in captivity for the past four decades, never uttering a word while being studied by Haluk Bilginer’s psychiatric doctor Sartain, the successor to Donald Pleasence’s Dr. Loomis. Meanwhile back in Haddonfield, Laurie, deeply traumatized by that night from her teens, has built herself a fortress. Living inside a remote home in the woods equipped with chainlink-fenced doors and windows, a security gate, a surveillance system, and a make-shift shooting range, Laurie has been preparing for Michael’s return all her life; actually, she’s been praying for it. Green’s film offers an interesting examination of victimhood, and how survivors of horrific violence can become controlled by fear while also fueled by revenge. Laurie is just as consumed by PTSD as she is by an unshakable obsession to reunite with the Boogeyman. That one night four decades ago has haunted and dictated the rest of her life, as well as that of her estranged daughter Karen (Judy Greer), who was also left traumatized — only by a childhood spent learning how to fight and shoot a gun in case the masked killer ever returned. “Can one monster create another?” Sartain asks Will Patton’s police chief on Halloween night, hours after Michael has once again escaped prison to wreak more havoc on Haddonfield, and as Laurie preps for all-out war. While the film starts out with a new premise that follows two British journalists (Rhian Rees and Jefferson Hall) seeking to investigate the William Shatner-masked killer for a true crime podcast, that’s quickly brushed aside for the Michael and Laurie face-off. Once Michael returns for another night of stalking, Laurie rushes to protect her daughter and her teenage granddaughter (Andi Matichak). The plot echoes that of the first Halloween so closely that Green’s film is more of a loving homage than an imaginative sequel. That’s bound to leave some fans disappointed, and it’s already drastically divided critics following the premiere at the Toronto International Film Festival. But watching it in a packed audience at a midnight screening (admittedly a perfect environment for a movie like this), I had one of the most fun times I’ve had at the movies all year. It’s hard to deny the sheer pleasure of watching famous sequences and shots from the original unfold all over again, especially as the iconic theme song — and a great new score from Carpenter, his son Cody and Daniel A. Davies — plays over the soundtrack. The most spot-on description I’ve heard of the new Halloween at the festival so far came from a fellow critic on Twitter, who called it The Force Awakens of Halloween movies, and I couldn’t agree more. Green serves up everything we love about the first Halloween, completely playing off our nostalgia for the slasher classic, and to me, that’s not necessarily a bad thing. 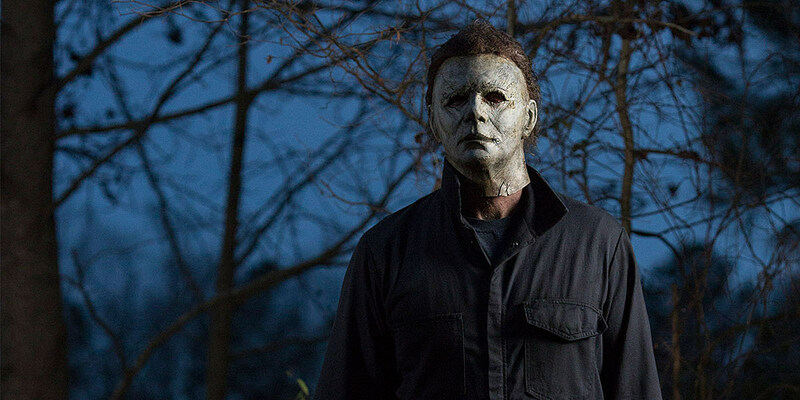 He doesn’t try to mimic what Carpenter did with that movie — after all, no filmmaker can recreate the magic and brilliance of the first Halloween — but affectionately pays tribute to it with buckets of grisly violence, prickly tension, and snarky humor (his and McBride’s comedic fingerprints are all over this). Not all of it works — a lot of the scares are predictable, and there’s one very idiotic third act twist the film could do without — but the suspenseful finale leaves you on a high. It may not be as scary, as expertly crafted, or as inspired as the 1978 original, but it’s a total blast that hits the spot.